How to heal colds and flu with home remedies, natural remedies and holistic remedies, without side effects. You may catch a cold when your immune system weakens from stress, emotional confusion or a poor nutrition. But the good news is that you can banish a common cold fast using Ayurveda, natural remedies and alternative medicine. 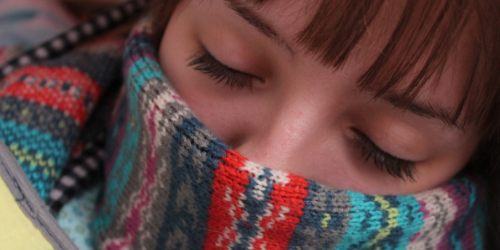 In Ayurveda, colds are considered a mild derangement of the Kapha dosha. Therefore it is wise to avoid kaphagenic foods like dairy, wheat, sugar and fried foods, while you regain your balance. Sip hot liquids, eat warm food and take warming ingredients like Ginger and Garlic. To effectively relieve the cold and congestion, you can use home remedies like eucalyptus, cinnamon, clove, ginger, cardamom, licorice, Gotu Kola and Wood Betony. A simple recipe is a tea made of cinnamon, clove, cardamom and ginger. You can apply eucalyptus oil to the sides of the nose, or boil eucalyptus leaves (or add some drops of eucalyptus oil to a cup of boiling water) and inhale the stream. Similarly, you can boil one teaspoonful of ginger powder (in about one quarter of water) and then inhale the produced stream to ease the congestion. Licorice taken as a tea might also facilitate the expectoration process. Finally, the herbs Gotu Kola and Wood Betony are useful to stop the nasal drip that comes from the sinuses. Nat.Mur. Cold starts with sneezing. It feels worse in fresh air or on exertion. There is a copious discharge (white or clear) and maybe cold sores. The sense of taste is lost. The person prefers to be left alone. Gelsemium. The symptoms start more slowly. The head feels full and there is great tiredness and weakness, lack of thirst, hot fever and cold chills up and down the spine. It is normally useful for summer colds. Bryonia. The cold starts in the nose as usual, but moves swiftly to the troath and chest area accompanied by a dry (and maybe painful) cough. The person feels irritable, very thirsty and wants to be left alone. Allium Cepa. The person has a runny nose with lots of mucus. The nostrils, eyes and lips are sore with a slight burning sensation. Calc. Sulph. Consider this remedy when the mucus is yellow. Aconite. The cold comes on suddenly, often after exposure to cold winds. There is a runny nose, high fever and the person feels anxious and restless but feels better in fresh air. Belladona. The cold starts suddenly and the person’s face (particularly the cheeks) is bright red with dilated pupils. The troath is red and sore. There is a bad headache accompanying the blocked nose. The person craves lemon juice and prefers to be in dark, quiet and warm rooms. Alternative medicine outlines the following as effective nutrients to banish common colds: vitamin A (to help heal inflamed mucous membranes), buffered (no acidic) vitamin C, zinc lozenges (to boost the immune system, but if you take a zinc supplement, never exceed 100mg daily divided in small doses and take it when you have a little food in your stomach, since it may cause some nausea on an empty stomach), the amino acid L-Lysine (to neutralize viruses and prevent cold sores), Echinacea and Goldenseal (also to boost the immune system). One additional thing to consider is that some allergies can cause symptoms that mimic those of flu and cold, so -when in doubt- allergy testing might be in order. Another thing to ponder is that antibiotics are ineffective against viral infections because they are designed to work only with bacterial infections. Actually, because antibiotics destroy bad bacteria together with the good, antibiotics actually inhibit the body’s efforts to defend itself against a viral infection. Dr. Donald Lepore, an expert in nutritional medicine and kinesiology, states in his book "The Ultimate Healing System: The Illustrated Guide to Muscle Testing & Nutrition" that in his view the cause of the common cold is neither viral nor bacterial, but a shortage of one or more of the following: potassium, sodium and sulfur. He explains that stuffiness in the right nostril would indicate a potassium deficiency, while congestion in the left nostril would indicate a sodium deficiency. By the same token, his research indicates that a sulfur deficiency will manifest itself in the throat area (the Adam’s apple) with a lot of phlegm, especially in the morning. A sore throat could also be the result of a lack of sodium, which would make everything allergenic. Under these circumstances, a sore throat is in his view not infected, but inflamed. To balance and alleviate this condition, nutritional medicine advices taking potassium, sodium and sulfur as appropriate, from natural food sources. Carrot juice is a good source of potassium, as are potatoes (especially peelings), bananas, apricots, oranges, tomatoes and rice bran. For natural sodium, celery juice is recommended, as are kelp, Irish moss, dulse and olives. Finally, some foods rich in sulfur are eggs, onions, garlic and apricots. Often, a common cold signals an emotional cleansing process and a search for clarity. There might be some mental confusion when the person feels that many things are happening at the same time. Therefore, the person wishes to retire and be left alone for a while to process and order various ideas and feelings. While in this state, the Ayurvedic, homeopathic and natural medicine remedies suggested in this article can be helpful not only to alleviate the common cold physical condition but also to balance the person’s energy and mood to better process the ideas and feelings surrounding the physical condition. The need to find a meaning and bring order to all the aspects of our lives is a deep human trait. 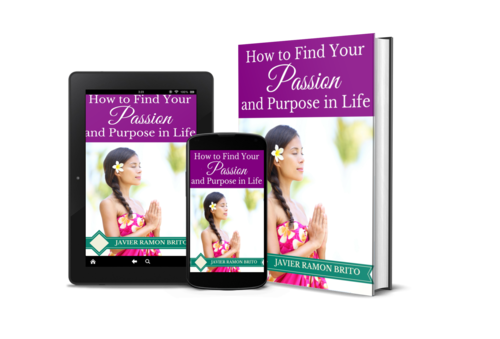 In this regard, my book How to Find Your Passion and Purpose in Life can be of assistance to you in your personal search for clarity.